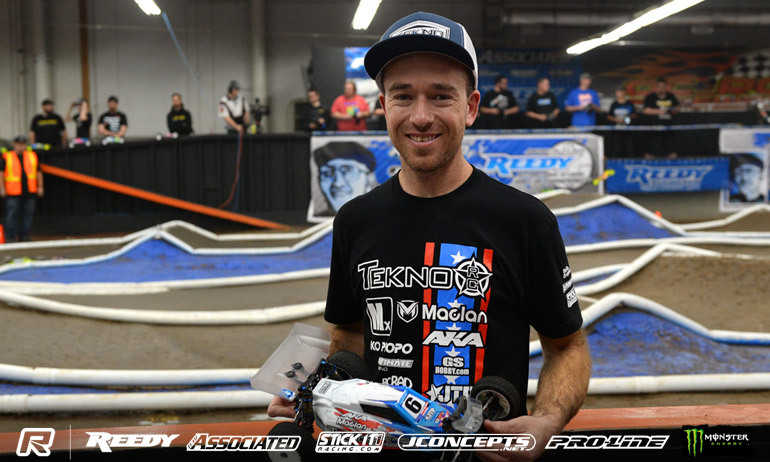 Jared Tebo has moved closer to his first ever Reedy Race of Champions title after the Tekno driver made up for a disappointing start to the final day’s racing by taking his 3rd win of 2WD in the fourth round. 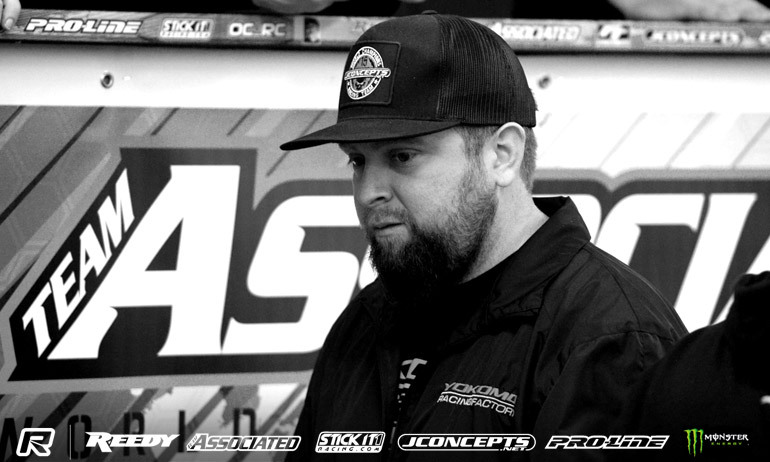 After giving up a win in the previous round, Tebo converted a 7th place starting position into a win over pole sitter Ty Tessmann and with two rounds to go he holds a 2-point lead over Ryan Maifield with Spencer Rivkin who is carrying a 5th sitting third. Also starting P7, Maifield added his fourth win of the event thanks in part to team-mate Ryan Cavalieri. 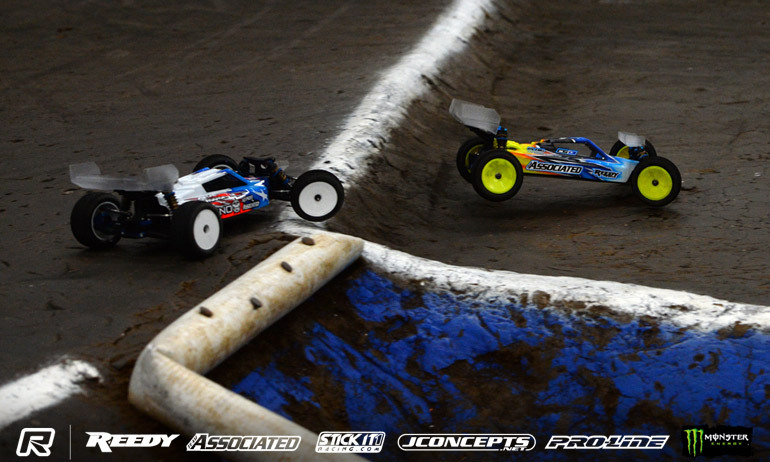 Making a late mistake, the same place Tebo threw away his win in the previous round, this allowed Cavalieri to go to the front but the new Yokomo signing took a wide line that allowed Maifield back to the front for a win that keeps the former champion in the hunt. With the best starting position of the trio, starting third, Rivkin couldn’t respond to the pace of pole sitter Broc Champlin and had to settle for a P2 1.6-seconds back on his Associated team-mate. For defending champion Dustin Evans the round netted him a P4 from 10th, a result that effectively ends his hopes of a third title. ‘I’ve put the first race behind me. I’m really happy with that win’, was Tebo’s reaction to his fourth win of the event. He explained, ‘It was a good race. I started 7th, there was a pile up and I was able to squirt through that and then chased down Ty’. 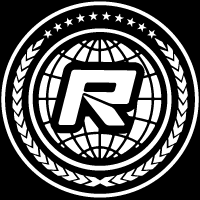 With two races separating him from adding his name to the Mike Reedy Heritage Trophy on this the 25th running of unique heads up racing format event. Asked about the remaining races, the former World Champion replied, ‘I am not going to look at the heats. I’m not going to look at the points. I’m just going to race who I am racing and do my best’. Summing up his race, Maifield said, ‘I got a little love from my team-mate the last lap but that keeps me in the outside hunt. It is very hard when Jared keeps winning’. Lifting the Reedy Race title in 2015, he added, ‘I’m starting 5th for the next one and have a front row for the last one. I’m just going to try and win out from here but it is in his hands if he keeps winning’. The World Champion added, ‘I got a 1st and 2nd from 7th in the last two races which shows my car is working. Getting through the field like that is good. Unfortunately I am carrying that 6th from 4WD and that is hurting me. I will try the best I can in the last two and have fun doing it’. ‘I started 3rd and finished 2nd. Me and my team-mate were chasing each other down. I gave everything I had’, was Rivkin’s reaction to the 10th of the 12 rounds of racing that make up the Reedy Race. 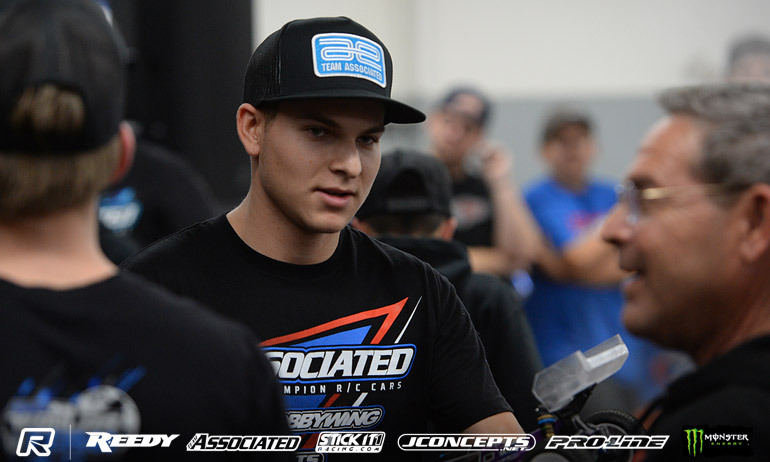 Like Tebo and also chasing his first Reedy title, the Arizona driver said, ‘now other teams are giving positions to their higher points drivers. It would be nice have that same privilege but it didn’t work out that way. I’m bummed Cav let Maifield go but we are still in the hunt’. 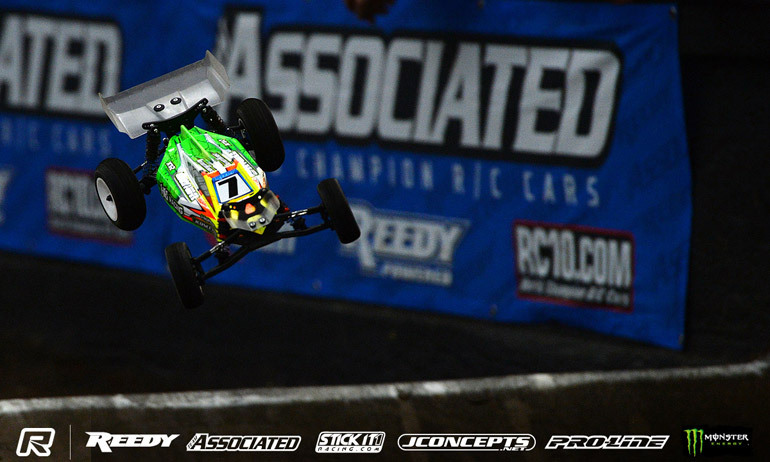 It is the final day of the Reedy Race of Champions at OCRC Raceway and racing got underway with important wins for defending champion Dustin Evans and Associated team-mate Spencer Rivkin. Evans opened the 3rd round of 2WD with a win from pole leading home fellow front row starter Tanner Stees to put his title hunt back on track after a difficult first round of 2WD yesterday. Starting from 6th on the grid, Rivkin took a significant win helped by a first lap pile up and a mistake from front row starter Lee Martin. The key result of the round was however that of Race 2. Points leader Jared Tebo would start on the front row alongside pole sitter Chris Sturdy while Ryan Maifield lined up 7th. 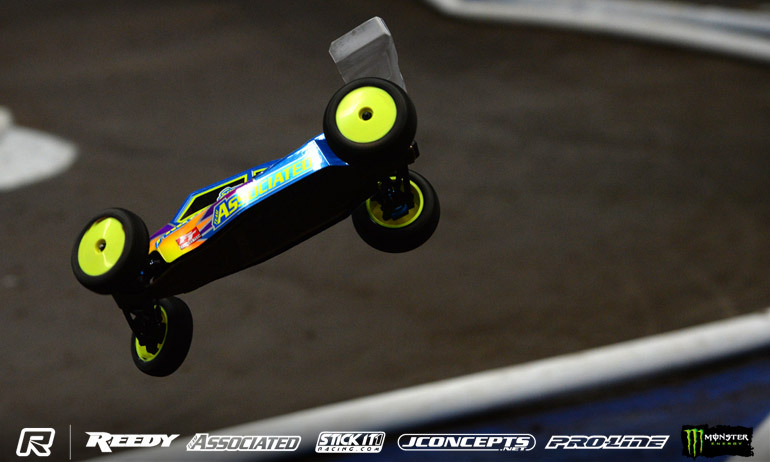 Taking an early lead and looking on target to make it three from three to set himself clearly on target for his first ever Reedy Race title, with 2 laps to go the race took a turn with the first of two mistakes from Tebo. 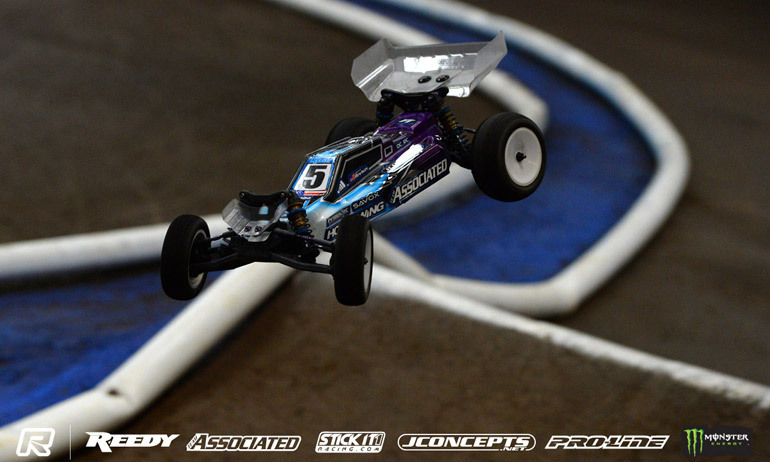 First the Tekno driver over jumped the table top on the penultimate lap ending up on his roof allowing Sturdy to go to the front but luckily for Tebo, Maifield also had issues on the landing. 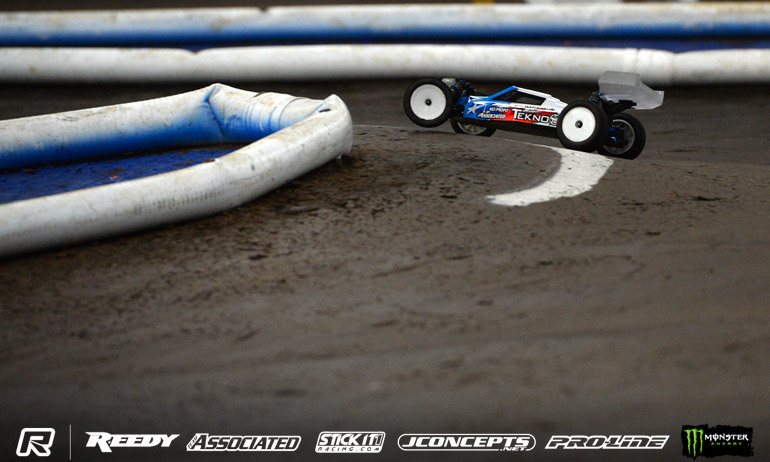 On to the last lap and under pressure from the Yokomo driver Tebo made another error dropping him to 3rd, a result that throws the 25th running of the legendary race wide open again. It was to be a tough start to the day for joint 4WD points leader Ty Tessmann who got a 6th for the round. ‘We are back in it’, was Evans’ reaction, the Colorado driver now in the chase for a third Reedy Race title. Only P8 in the first round of 2WD, he continued, ‘When your first round is a throw out it is hard but we got to keep chugging away. I had to make the most of that front row start. I’ll keep doing the best I can’. Only his second win of the event, he concluded, ‘I made changes to the car for that one and I’m really happy with it now’. Rivkin summed up his win with, ‘that was a big win from where I was starting’. The driver now with the most race wins, he explained, ‘At the start I got it wrong at the double and went to last but then everyone crashed at the single and I came out third and had Lee (Martin) and Aydin (Horne) ahead of me who I picked off one at a time and got around as they had mistakes.’ Asked about two moments he had in the stair case late in the race, which allowed Martin to come back at him for the lead, the former World Champion, said, ‘It was definitely challenging out there. I just got a little side ways but it was nothing. That was an important win’. ‘It went really good till the very end’, said a disappointed Tebo. 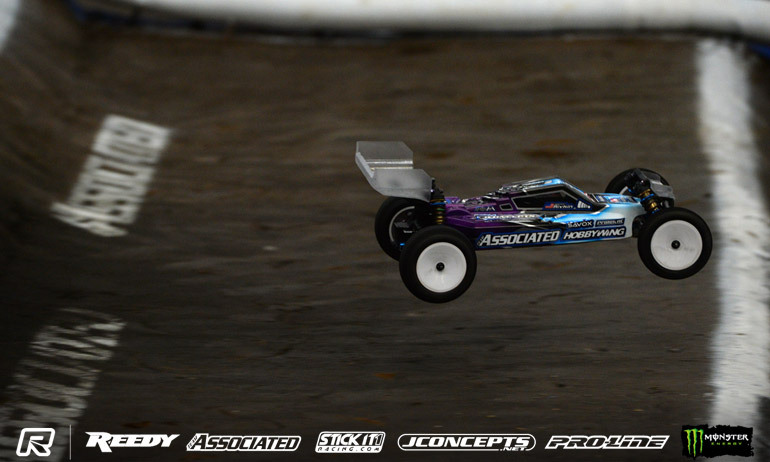 The Tekno driver, who runs an Associated in 2WD, continued, ‘the car was great and I was just managing the race but then I jumped a little long at the table top. I cased it and dropped to second and after that I made an uncalled for error’. He concluded, ‘I lost two places which is a bummer but I am not going to let it effect me’. Pulling a good result from the round given his starting position, Maifield said, ‘I was just patient with Orlowski and Clement and once I got by them I tried to catch up to Tebo and Chris. He (Tebo) made a mistake but so did I but then I was close enough to him that when he made a mistake I could get by. 2nd out of that was a good result’. Looking to the next round, the World Champion said, ‘I have another mid pack start and I’ll try again to make the most it’. 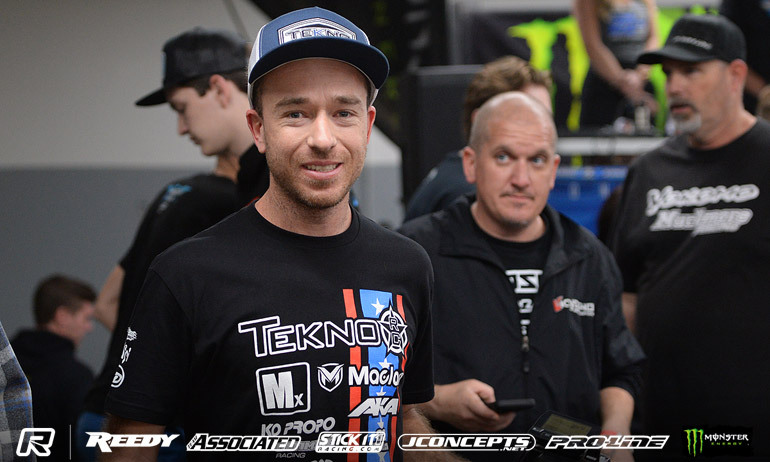 Jared Tebo will go into the final day of the Reedy Race of Champions tomorrow as the points leader with four races separating him from potentially winning the legendary race for the first time. Having ended 4WD as joint points leader, the new Tekno signing made the perfect start to 2WD backing up his first round win with a second win ahead of another of the Round 1 winners Ryan Maifield. Currently as it stands Tebo has a 3-point lead over both Maifield and Ty Tessmann, the Canadian getting a third from today’s final round. Joining Tebo in taking wins in the second of the six scheduled 2WD rounds would be David Ronnefalk who held off Ryan Cavalieri and Spencer Rivkin who somehow survived three errors to hold on for the win just ahead of 4WD double winner Michal Orlowski, the Schumacher driver having come through from 10th on the grid. Reacting to being on a roll in 2WD, Tebo said, ‘It seems that way’ adding ‘that was my first front row start and I almost threw it away on the first lap but luckily I landed on my wheels’. Enjoying a resurgence in form, the American continued, ‘I had to rebuild my diff so I was stressing a bit at the start but I settled down. Then I had Maifield chasing me down so I couldn’t be any happier to win that one’. Having only got a 5th in Round 1, Rivkin said, ‘that was more difficult than I would have liked it to be’. The 2015 World Champion explained, ‘I had a big lead so I switched the burners off but then made a mistake. I made two more mistakes after so I definitely used a lot of lives to get that win. 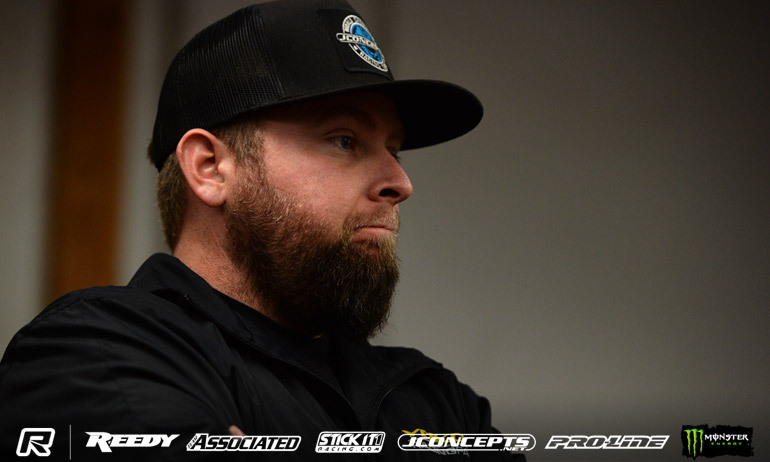 It was eye opening and I wont let it happen again.’ Finishing 2 places ahead of his title defending team-mate Dustin Evans, on his car the Associated driver said, ‘the car is great. It would maybe be faster with more steering but its comfortable to drive’. 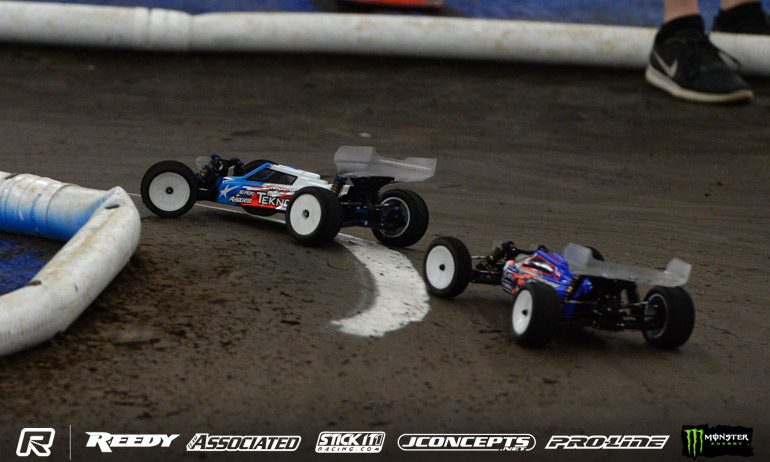 Another driver to have a tough first 2WD encounter after tangling with another car early on, Ronnefalk summed up his win with, ‘that was a good one. I need to convert my front rows into wins’. 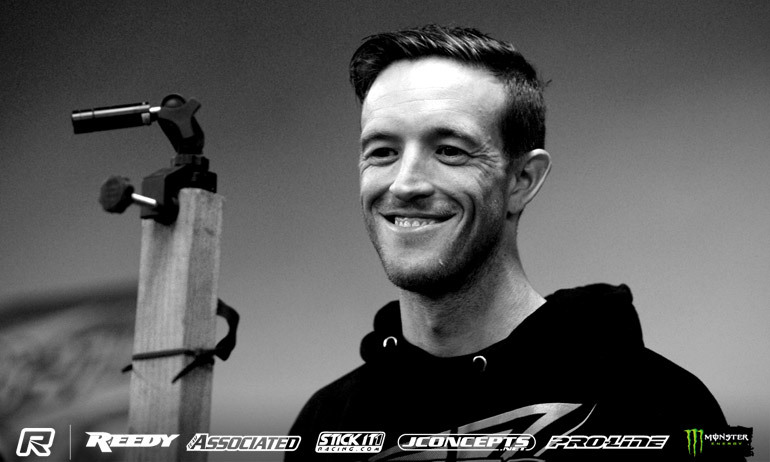 The HB Racing driver continued, ‘I knew Cav was going to hunt me down and together we pulled away slightly. I struggled a little bit (with the car) when I pushed or ran a different line. On my own the car feels good. We will change a few things for tomorrow’. The Swede concluded, ‘tomorrow I have two starts really far back but I will do my best to make the most of them’.